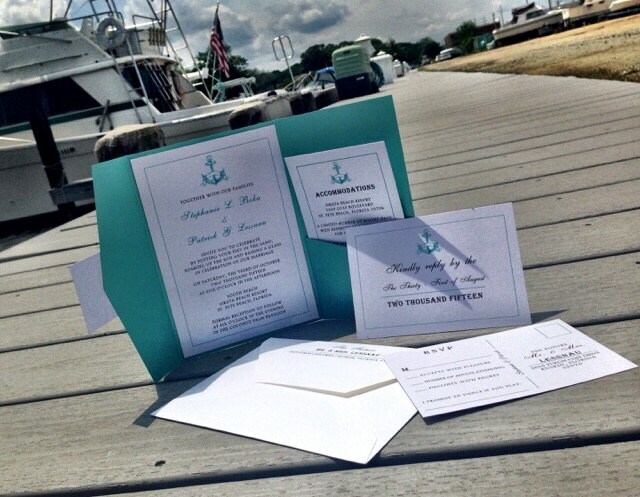 The pocketfold design is part of MBMs couture collection. 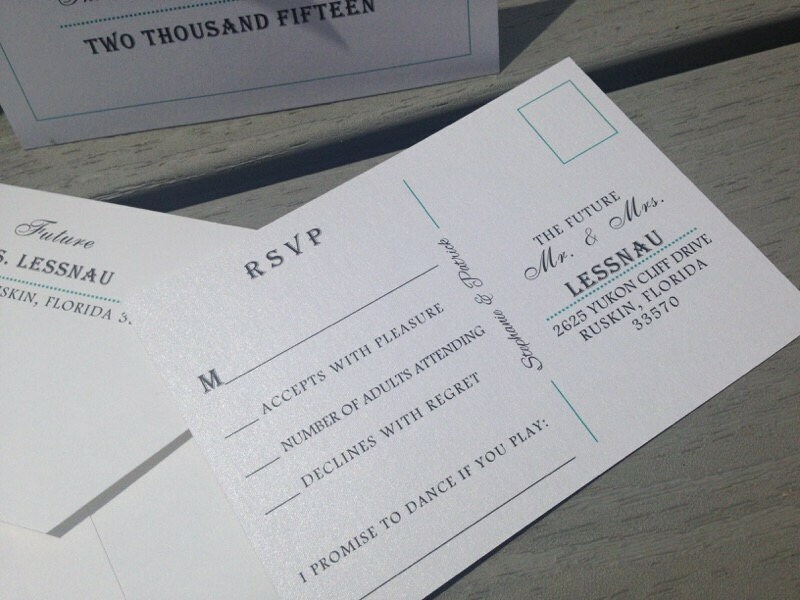 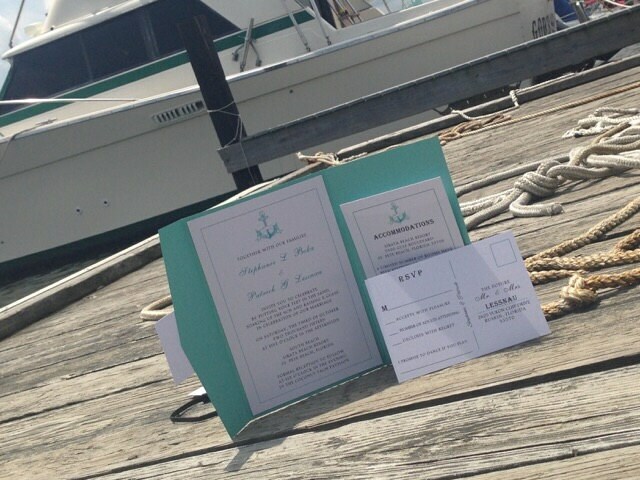 A pocket style invite with up to 3 enclosure cards! 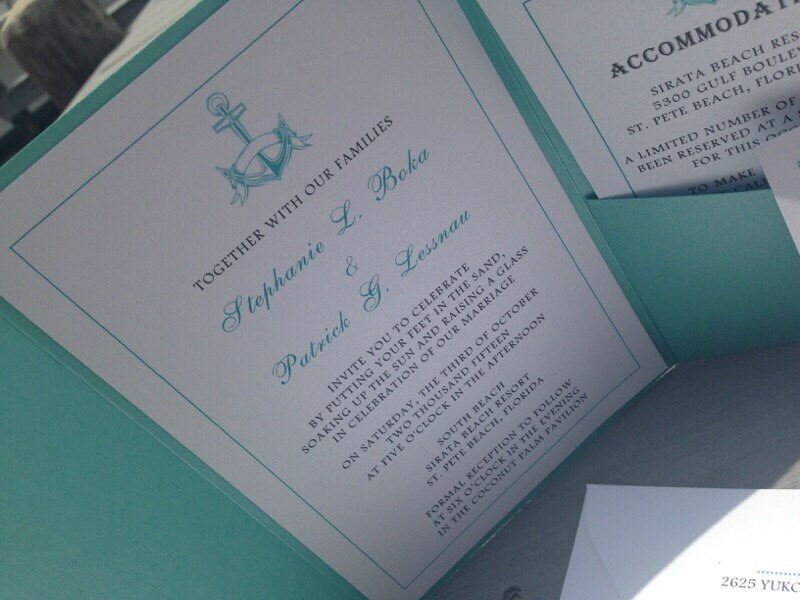 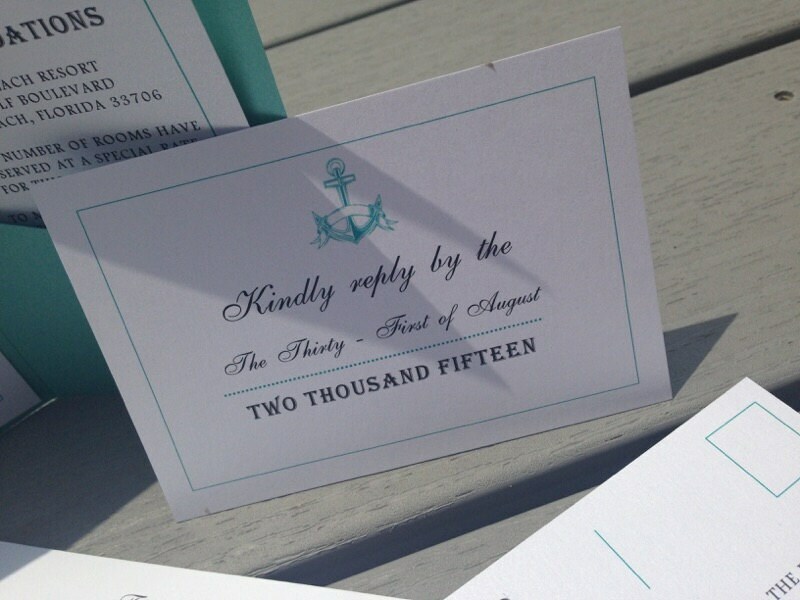 The invitation is accented with a border, monogram on the front, anchor graphics and a post card response card!